Get your caps organized with the Cap Rack 18. This rack holds our caps as easily as regular size caps. 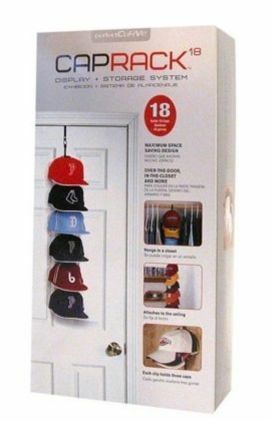 Cap Rack 18 comes with what you need to hang it on a door or in a closet, and can also be attached easily to a wall or even the ceiling. 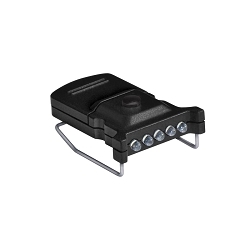 Each clip holds three hats for maximum space savings. No more, “Where did I put my hat?” or smashed head wear! Your caps will thank you.